Rent charges for market traders are to be frozen as part of plans to ensure Chesterfield's successful historic outdoor market place continues to thrive in the modern shopping world. 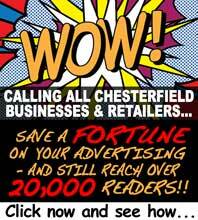 Last year Chesterfield Borough Council, which owns and manages the outdoor market, carried out a public consultation as part of a review looking at how the market can continue to draw in shoppers, as markets across the country face increased competition from the growth of online shopping and discount stores. Charges for traders on the general, flea and farmers' markets are being held at their current levels to support existing traders and help with the recruitment of new traders. Fees for electricity, storage and the promotion of the open market are also being frozen. Market charges on Chesterfield outdoor market are already cheaper or in line with those at neighbouring markets in the region. 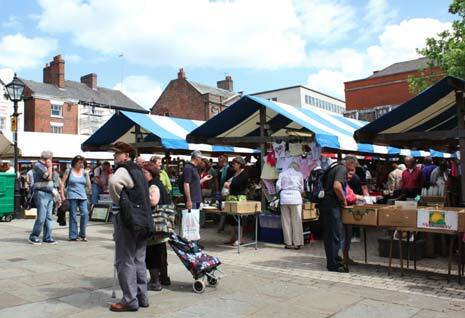 Despite the tough economic climate for markets nationally, Chesterfield market continues to have between 100 and 150 stalls trading on market days. To increase this further the council has begun work with traders on both short and long term plans to make improvements to the outdoor market. Specific proposals will be drawn up over the coming months, while work starts on identifying funding to carry out more major redevelopments in the long term that could see the layout changed and improvements made to the stalls area. Councillor Amanda Serjeant, Chesterfield Borough Council's cabinet member for town centre and visitor economy, (left), said: "The market is the heart of our town centre and we all want it to remain that way. 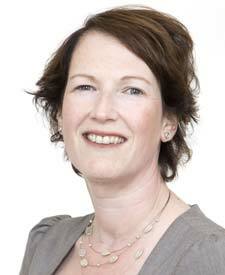 "But all shopping environments have to move with the times to ensure they remain relevant in a world of online shopping - and so I am really pleased that the traders have agreed to work with us on both short and long terms plans to achieve that. "Some of the key issues to address are around footfall around the market place area, the sight lines of individual stalls and weather protection to provide good trading conditions for our traders and their customers." Longer term options to reorganise the market place area have been put forward, following public consultation, that would cost between £900,000 and £3 million, depending on the route taken. Councillor Serjeant added: "With the funding cuts the council is facing, this is not something we can fund at the current time, so we plan on working with the traders on options to seek grant funding or work in to our medium to long term financial plans, ways of identifying the money required. "This will enable a viable and affordable plan to be developed that can then be delivered to achieve the on-going improvements the traders and us want to see." General markets are held in Chesterfield every Monday, Friday and Saturday and the flea market is each Thursday. A farmers' market is held on the second Thursday of every month and an Artisan market on the last Sunday of each month. The council also holds car boot sales every Sunday at the Proact Stadium, off Sheffield Road. Chesterfield celebrated its annual Chesterfield Medieval Market on Tuesday - with thousands flocking to Market Square to try their luck on tombolas, raffles and fun activities. Once again Chesterfield stepped back in time earlier this week, as the town hosted its annual Medieval Market, an event which brings thousands into the town to celebrate and support the wealth of charities that help residents throughout the year. Fourteen acts including singers, martial arts performers, dancers and a magician made it through to the final of Chesterfield's Hidden Talent Contest at Vicar Lane Shopping Centre on Sunday 27th July 2014. Queen Elizabeth was in Chesterfield yesterday - though sadly for royal watchers, it was Queen Elizabeth I rather than our current monarch!